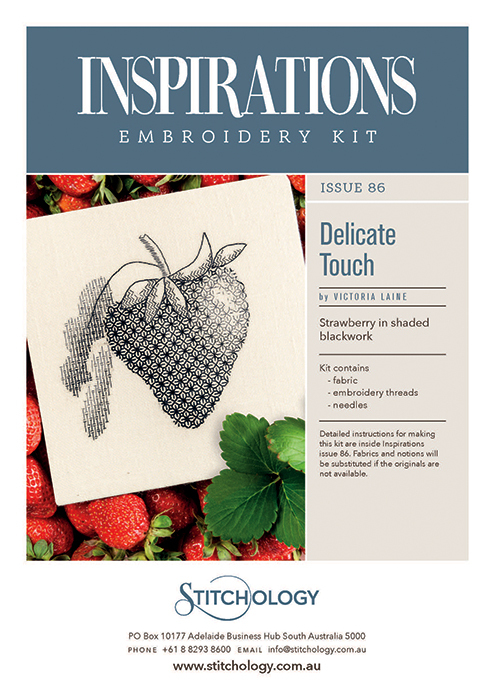 Blackwork strawberry given dimension with shading techniques. Worked onto ivory linen with silk and cotton thread, this captivating image would be perfect framed or insterted into the lid of a box. The instructions for this product are available within 'Inspirations Issue 86' and are not included with this product.